I know you all have seen a bunch of photos of my '85 Fuji Del Rey that was my "Craigslist special" that I snagged from that college kid last month. You've all probably followed my story how I changed this out, changed that out, and made the bike my own. As far as serious LBS work, it needs nothing, as it's darn near in mint condition (probably was a "garage queen" for 20-25 years or so). Anyway, the college kid had his LBS put on Kenda K161 'cross tires on and they work well. He rode the Fuji all over downtown Richmond, Virginia on cobblestone streets and stuff, and the steel framed Fuji and Kenda tires didn't mind it at all. Everything is still excellent and the wheels are true. Here's a photo showing the added toe clips that I put on, but more importantly, look at the tires on the sides of the photo. The Kenda K161 tire does have some serious meat on it, being 27" x 1 3/8" gumwall. Max pressure is only 70 psi. It gives a real cushy comfortable ride. What do you think? Leave 'em on or swap them out? Swap 'em out for 27 x 1 1/4" Panaracer Pasela PTs. About $8 from Niagara Cycle Works. Hate to think what the LBS charged. Probably a good choice for what he was doing, but it sounds like you need nice HP tires. Yup, Paselas. One more (predictable) vote for the 1-1/4" Paselas. Less work to ride and they'll probably measure close to those Kendas in width anyway. I agree. I have 27x1-1/4 Paselas on my Fuji and they're pretty much bomb-proof. A great all-around, go-anywhere tire. And the 1 1/8 Paselas are even better. They are also available in black or gum wall. i use vittoria zaffiro's, with no problems riding chip and seal country roads. they are usually $8-10 cheaper than the paselas. Thanks guys... I really appreciate it! Time to go pick up some Panaracer Paselas! Wear out the Kendas first, then put on some Paselas. I'm a 'clyde' at 5'8" and 210#, and yet I still ride my 27"bikes with 1-1/8 tires. 90psi front, 100 rear. I like the Vittoria Zaffiro and the Paselas about the same. The Pasela TG (TourGuard) and other Kevlar-belted tires are stiffer and quite a bit heavier. Same goes for putting 'tire liners' in regular tires. The heavier rotating weight is noticeable on 20+-mile rides, but for a commuting tire they're great. Your bike will feel as if it's lost half of its weight. You will be pleased. I have no intentions of putting aero bars on and racing with the Fuji. I am as "old school" as the bike! I like long rides out in the country, out on the backroads, and checking out the scenery, all while getting in a nice ride and a good workout. A nice comfortable, basic, do anything, touring style of tire would be excellent. And now the ONE, SINGLE time that rootboy has been clearly, demonstrably WRONG!!! Agreed. The 27 x 1 1/4 Paselas are just too fat. Probably wider than the 1 3/8 Kendas you have now. I like the 1" Pasela tires even more. Economy wise the Kenda 27 x 1 1/8 are great tires. Last set I bought were $25 shipped from Niagara Cycle. The tandem had the 1 1/8 on it and it was a bit .... harsh. My wife's Raleigh mixte had the 1 1/4. I swapped and prefer the 1 1/4 on the tandem. Thinking back about what I was saying about riding type, this is a photo I snapped yesterday when I was out on a 14 mile ride along the scenic road running parallel to the James River here in Richmond, VA. That's the style of riding that I like. Quiet back roads and scenery. Look close at the Fuji. Yeah, it's 1985. But it's MINT! It most likely sat in the back of a garage for 20 years. If I remember right, the college kid said it was his dad's old bike new from '85. When the kid went to college, the dad gave him the bike to use. Now that the kid graduated, he didn't need it anymore and the dad didn't want it back. Long story short, I think I got a hell of a C&V bike off CL for $120 bucks. Everything is in excellent condition and it's dialed in perfect and needs nothing - except for a tire swap. I'll ride a '72 Miyata or circa 83 Univega when weekend riding with the wife, both bikes are joys. Those who haven't experienced the vintage steel on 27" wheels are missing something, they are wonderful rides...as long as you are not trying to stay with a pack avg. 18+mph. These old bikes are a perfect fit with quiet scenic road; though I still have a preference for lighter & thinner rubber, and that's not typically Paselas. I just mounted the folding version of the Paselas (630 x 28) on my Austro-Daimler Inter 10. Not cheap, but very nice. 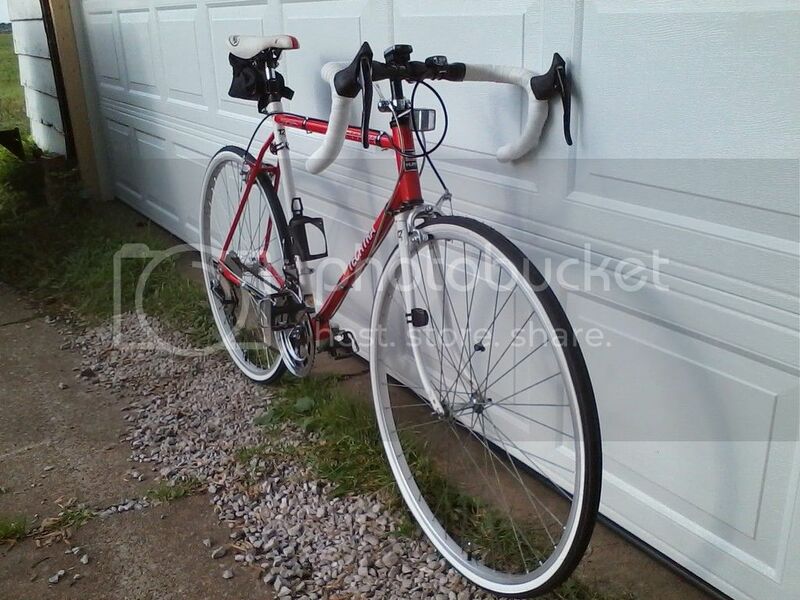 Greetings, looks like a great bike, however have you cleaned and greased (repacked) all the bearing sets: hubs, bottom bracket, pedals, and headset? After so many years, the original grease has dried out! Thanks... I haven't, but I did check. Believe me, I went all over the bike! I even used a flashlight and tiny flathead screwdriver to use as sort of a "probe". I think the LBS took care of things (again) when the college kid had the Kenda 'cross tires put on. Also, I assume(?) probably 4 years ago, the dad had the bike serviced, tweaked, overhauled, after sitting for so long before he gave it to his son for college. I think that's why the bike was $150 in the CL ad. Both the college kid (and dad) wanted to recoup some of the cost, but I was able to barter and finagle the price down to $120. 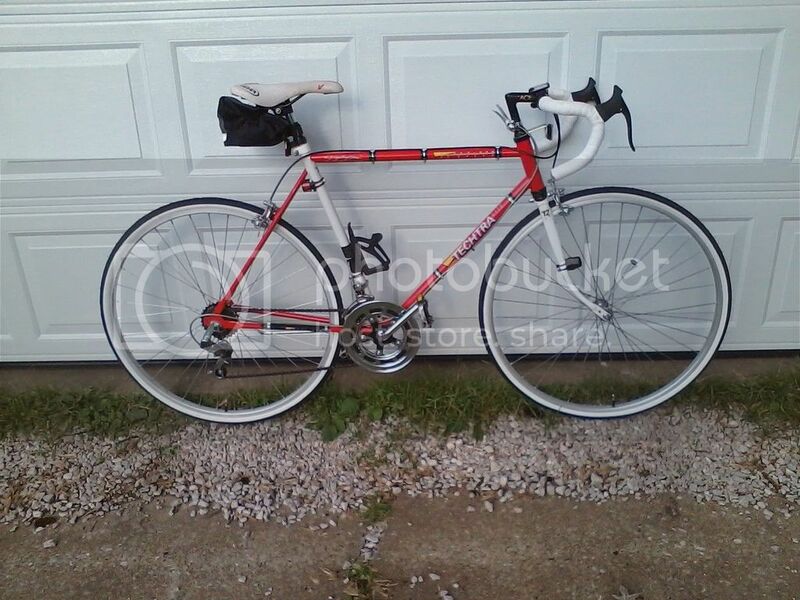 Normally, old classic bikes on eBay and/or CL are like $50 bucks or $75 at max. They need a TON of work. 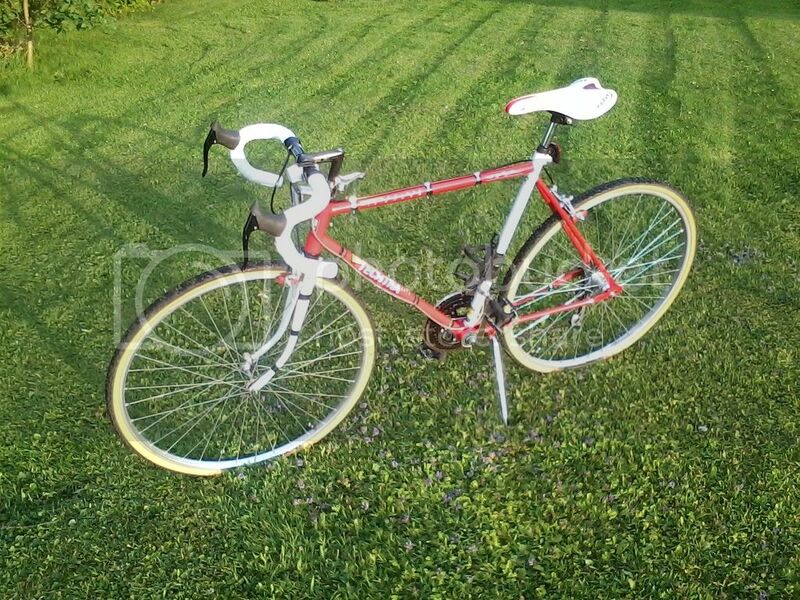 This '85 Fuji doesn't need anything, as it was already done by an LBS. Trust me... I looked... Nothing is dried out, nothing is corroded, etc... The bike is AMAZING for being 30 years old! I just want to swap out the knobby Kenda K161 tires for something more road worthy but yet not harsh riding at 100 psi. Last edited by ButchA; 07-02-15 at 12:19 PM. I was intrigued when I saw a number of people mentioning 27" Zaffiros on this thread. I Googled them and could only find them mentioned on a 2010 '.pdf' edition of the Vittoria tyre catalogue. They have an asterisk next to them, which signifies 'US market only'. I have some. They wouldn't pass a check with Jan Heine's supplometer. The Paselas are nearly floppy by comparison. They were hard to mount too.